In my last post, I had introduced you to a new brand in the market – Enn’s Closet. Am currently loving their green Wipe Out Chlorophyll Face Cleanser. It’s like a green detox for your face. If you haven’t yet checked out my review, please follow the above link. 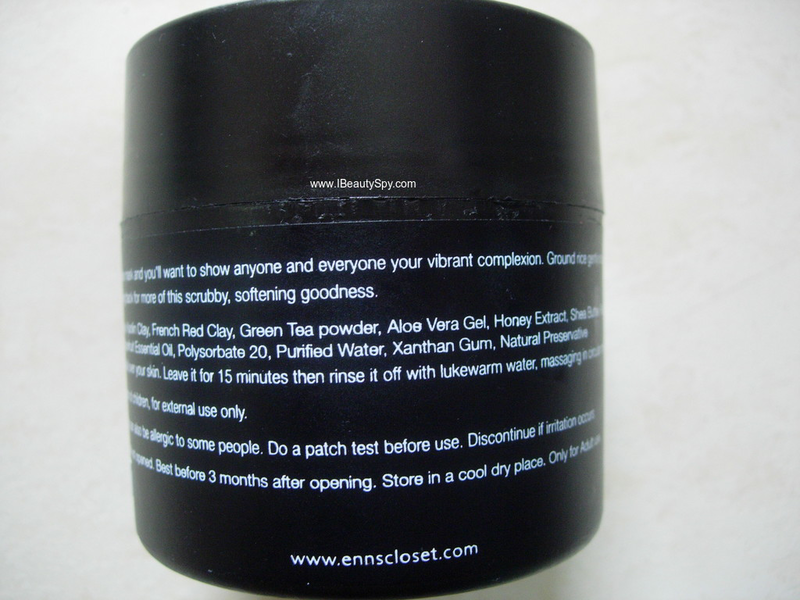 Today I will review one of their gourmet face masks – Enn’s Closet Illuminous Skin Lightening Face Mask. What I love about the brand is that they have a wide collection of gourmet face masks for different skin concerns – Berry Bang for Anti Ageing, Ac Nay for Anti Acne, Cocoa Mess for Nourishment, Chizzle for Skin Tightening, Sculpt for Anti Pigmentation, Black Friyay Activated Charcoal, Ba-na-na-na-h Mask for Anti-Dullness and finally this Illuminous Skin Lightening Mask. With such a wide variety, I wish they come up with a multi-masking kit with mini versions of all masks, like how GlamGlow, Innisfree and other brands have. Anyway, let’s see in detail about this Enn’s Closet Illuminous Skin Lightening Mask. The gourmet face packs are 100% healthy and pure made with the highest quality organic/natural ingredients. The illuminous face mask is the grim repair to your dead skin cells and helps in skin brightening. From stubborn old skin, to scars, acne, blemishes, and any other skin imperfections that are unfortunate enough to stand in its way, nothing is shown mercy before its scythe. This mask contains ground white rice which is a natural exfoliator used in the beauty regime for centuries. It scraps off the dead/dull skin cells and helps the skin breathe. Apart from its exfoliating and purifying properties, this face masks equips your skin with everything it needs to prevent them from ever coming back. Happy skin, is the most luminous skin. 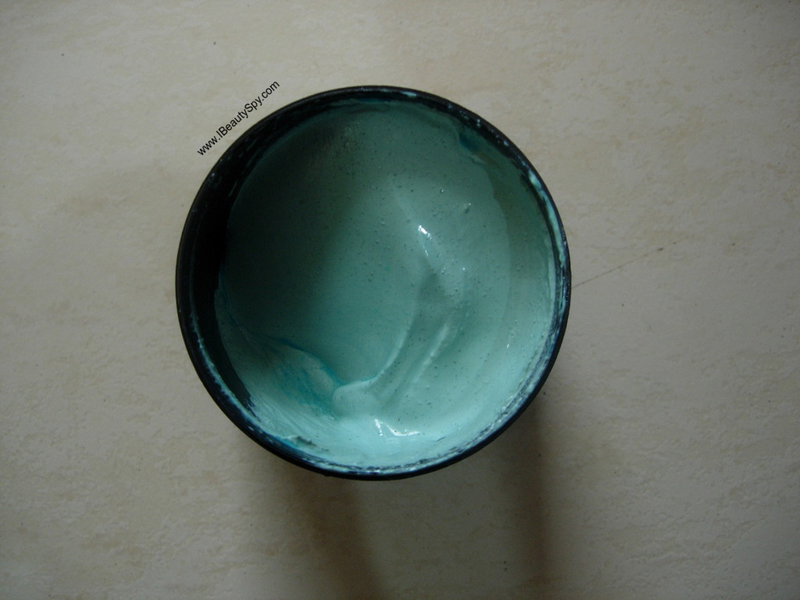 This electric blue face mask is lightly textured, soft and smooth. 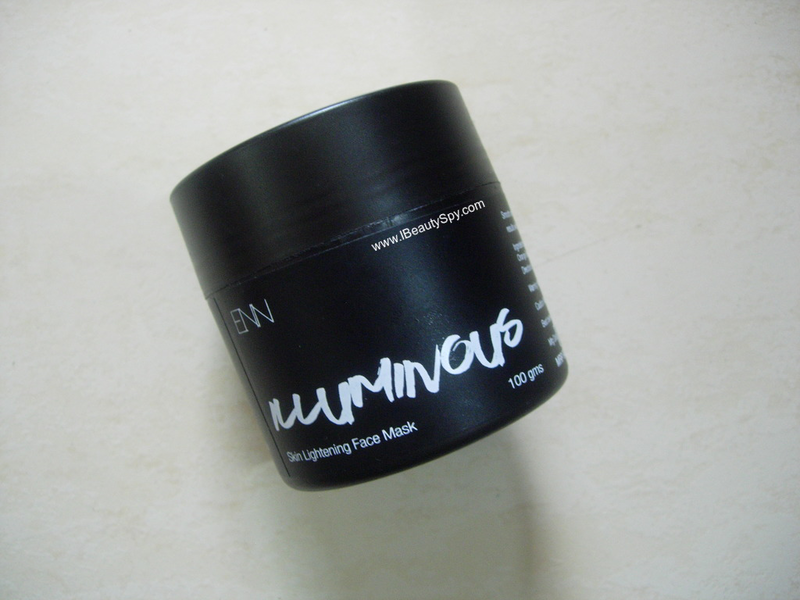 Unlike most brightening masks, Illuminous does not pull or tug at your skin. It glides on easy and comes off gently as you massage your face. Add this 15-minute miracle to your daily routine for radiant even skintone. 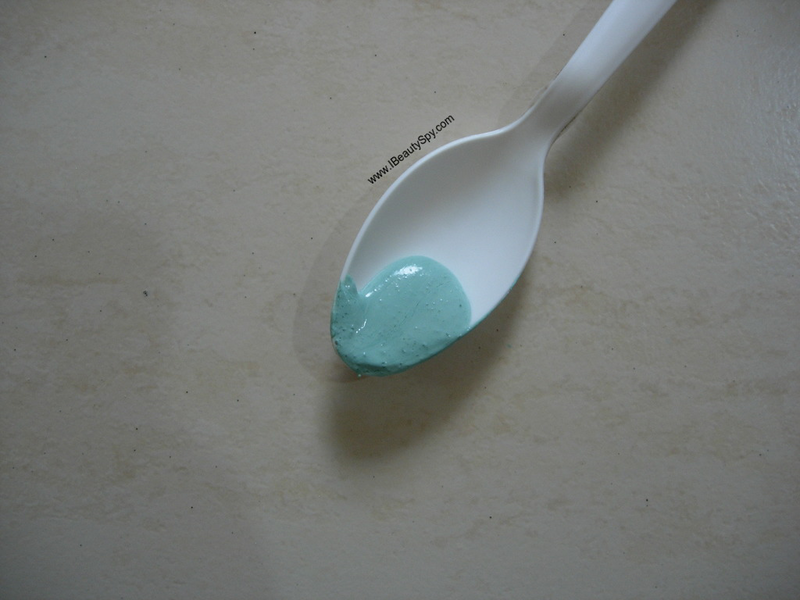 Bentonite Clay, Kaolin Clay, French Red Clay, Ground Rice, Green Tea Powder, Aloe Vera Gel, Honey Extract, Shea Butter, Papaya Extract, Chammomile Extract, Orange Essential Oil, Grapefruit Essential Oil, Neroli Essential Oil, Polysorbate 20, Purified Water, Xanthan Gum, Natural Preservatives. 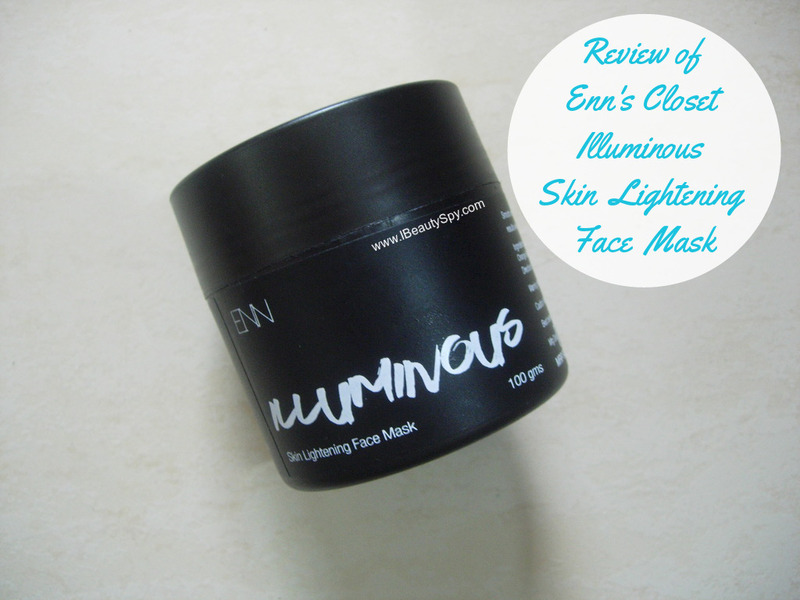 Enn’s Closet Illuminous Skin Lightening Face Mask comes in a classy, black jar packaging. This is the standard packaging of all their face masks. They sure have established a unique, chic and urbane style of packaging in the market. Going full black is a bold move, but I think they have carefully considered and analysed the likes and preferences of the modern, urbane crowd. Enn’s Closet Illuminous Skin Lightening Face Mask looks aqua blue in color. Very lovely actually. It has a nice aquatic scent. Yes! I have never used a face mask with aquatic scent and was quite surprised with this. It is not very strong and is just the right amount to give a pleasant and pampering experience. The texture of this face mask is a creamy paste and very smooth, not too thick. Enn’s Closet Illuminous Skin Lightening Face Mask is so easy to apply as it glides very easily due to its right consistency. I wash my face with a deep cleanser and then apply this. It really feels luxurious and pampering on the skin and makes me feel like am floating in deep sea with its aquatic scent. I do feel a slight tingling sensation sometimes as its the case with most clay based masks. After 20 minutes, I wash it off and pat my skin dry. Results? Yes, my skin does look illuminous as claimed. It brightens and lightens skin to give that radiant glow. My skin also feels deep cleansed of all impurities, pollution and there is a fresh feeling that my skin can finally breathe. It doesn’t dry out skin. Also tightens and firms face giving a youthful look. The claims say that it works on scars and blemishes too. I will say that it does work on them as it contains bentonite clay and kaolin clay. But the results are slower compared to some other masks I have used. Enn’s Closet Illuminous Skin Lightening Face Mask as the name suggests is majorly for illuminous and bright, light, radiant skin. And it does whatever a face mask is supposed to do very well – deep cleansing pores and allowing them to breathe, tightening, firming and most of all a luxurious pampered feeling. The price is high but Enn’s Closet is supposed to be a high-end brand. And I felt the quantity was huge and quality was excellent as well. * Different and refreshing aquatic scent. * Deep cleanses skin without making it dry. * Skin feels fresh and can breathe. * Gives bright and radiant skin. * Tightens and firms skin giving young look. * Works on scars and blemishes with regular use. * Luxurious and pampering on the skin. * Huge quantity which will last long. * Launch multi-masking kits with smaller versions of all masks. I would like to try their other variants, especially Ba-na-na-na-h one. Its a high-end product. Quantity and quality both are great. Availability: You can buy online from here or here (Currently its on 20% discount sale). 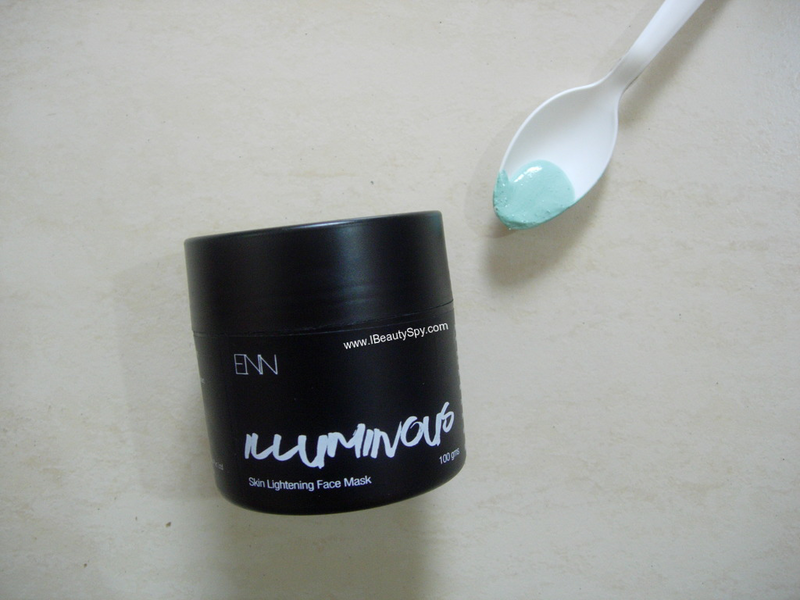 Enn’s Closet Illuminous Skin Lightening Face Mask is a gourmet face mask to pamper your skin with on a weekend. You can do a proper cleanup using this just like in parlours. It has a refreshing aquatic scent which I love and the final effects of the mask satisfied me as well. I feel both the quantity and quality are great. You can give it a try, am sure you won’t be disappointed. Have you tried any Enn’s Closet products? Do share your experiences on them. Amazing Reviews of both the products by this brand. Do you think it will suit oily skin? yes, do try it. its so good..